This is a great book to transition kids from short, small board books to picture books. 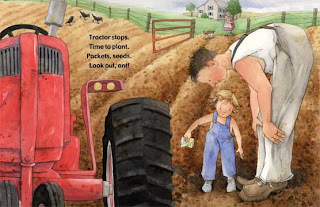 The pictures are warm and detailed and the rhyming text is just right for toddlers and young preschoolers- practical and poetic. and we all know how that goes! It really does warm your heart to watch him give her the chance. 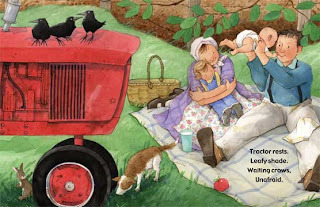 The hugs and tender family moments make this a wonderful feel good book and this is another one that conveniently ends with the little girl snuggled comfortably in her big girl bed, falling asleep peacefully...love those! 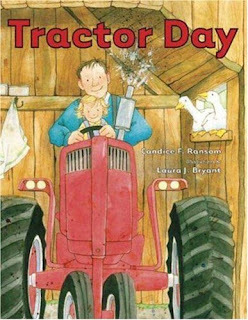 This was my go to book at the bottom of our stack for nap time and bed time books; I could probably recite it to you!